Some customers want to edit their left or right columns or even the header bar of their site. This is handled the same way you manage your homepage. 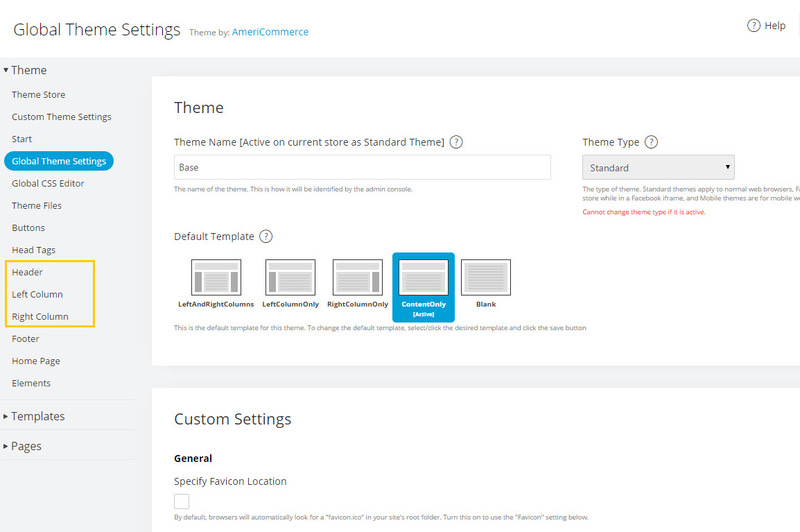 Go to Themes > [Active Theme]. 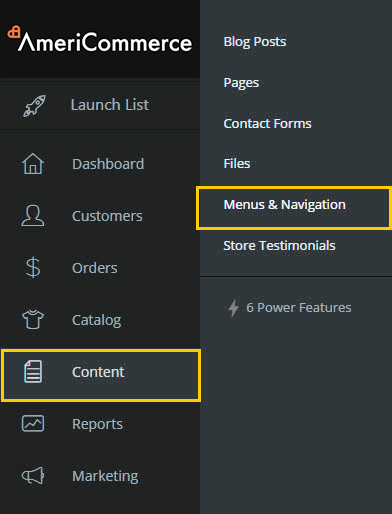 Now on the left-hand menu click Left Column, Right Column, or Page Header. This will bring up the editor for that area. You will see a list of widgets you can add and all the ones currently on the column. Edit them accordingly. If you want raw html content, just add a "Custom HTML" widget and a WYSIWYG editor will appear. You can switch between the WYSIWYG and text HTML editors. 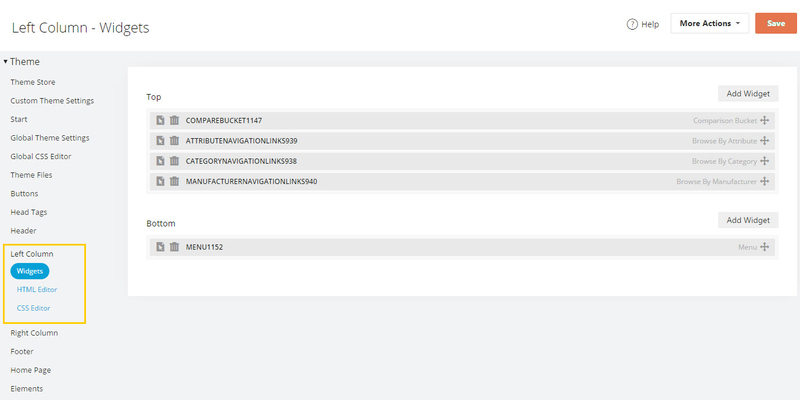 From here you can add multiple widgetss and change their order, etc. For adding an AmeriCommerce online stores managed list of links add a "Link Group" snapin. You can manage these links from Content > Menus & Links. For adding a list of categories right from your product catalog, add the "Browse By Category" or "Browse By Manufacturer" widgets.